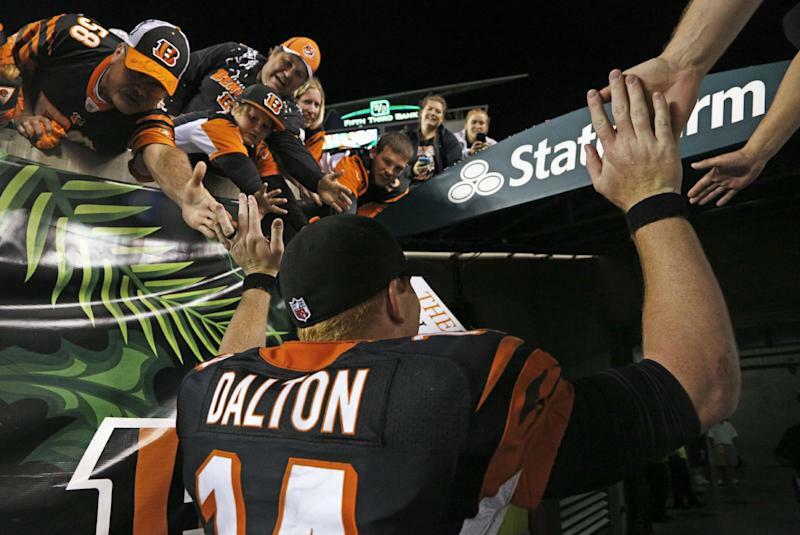 CINCINNATI (AP) — The balance of power is shifting in the AFC North. Running back Giovani Bernard scored his first two NFL touchdowns on Monday night, and the Cincinnati Bengals beat the struggling Pittsburgh Steelers 20-10, an early sign of a change in the division's ranks. At 0-2 for the first time in 11 years, the Steelers no longer seem to be one of the North's heavyweights. And the Bengals (1-1) have a lot going for them with an influx of rookies who are changing their offense significantly. On Monday night, those rookies made their first impression on an old rivalry. "It's AFC North football, man," Bengals left tackle Andrew Whitworth said. "It's physical. It's nasty, getting after each other. We were in a situation at the end of the game where we were trying to run the ball to win it and eat up the clock. We were getting after it." "We have work to do," coach Mike Tomlin said. "We aren't going to hide from that fact. We are going to embrace it and accept it, and understand that there is some misery that comes from the position we are in right now." 1. BENGALS HAVE THE UPPER HAND: They defeated the Steelers at Heinz Field last December to beat them out for the final wild-card spot, and now have beaten them twice in a row for the first time since 2009. They piled up 407 yards on offense — 127 on the ground — and held the ball for more than 35 minutes. Their defense limited the Steelers to 44 yards rushing. The numbers suggest there's a growing gap between the old Steelers and young Bengals, though they're not quite ready to proclaim it. "This doesn't define anything until you look back at the end of the year," coach Marvin Lewis said. 2. THE NEW GUYS MAKE CINCINNATI DANGEROUS: First-round pick Tyler Eifert caught a 61-yard pass that set up Bernard's 7-yard touchdown run. The second-round pick from North Carolina got his second TD on his own, taking a short pass from Andy Dalton for a 27-yard score. Dalton has a lot of options now with a tight end who can move around the field and a running back who can catch it and make 'em miss. "A lot of weapons, man," All-Pro receiver A.J. Green said. "That's the biggest thing." 3. STEELERS ARE HURTING: They managed only 32 yards on the ground during an opening 16-9 loss to Tennessee at Heinz Field. Pro Bowl center Maurkice Pouncey was lost for the season with a knee injury in that one. Fernando Velasco, signed a week earlier, started in his place Monday, and the Steelers didn't do much better, gaining only 44 yards on the ground. They failed to get a first down on seven of their 12 possessions, which kept their defense from getting much rest. "There's not a lot of positives going on right now," said quarterback Ben Roethlisberger, who was 20 of 37 for 251 yards with one touchdown and a deflected interception. "We can't start doubting each other. Right now, there's a general feeling of being upset." 4. WHAT'S UP WITH THAT DEFENSE? Pittsburgh's success has been built on its defense, which was No. 1 in the NFL last season but has played out of character in the back-to-back losses. Tennessee committed to running the ball in the opener and picked up 112 yards. 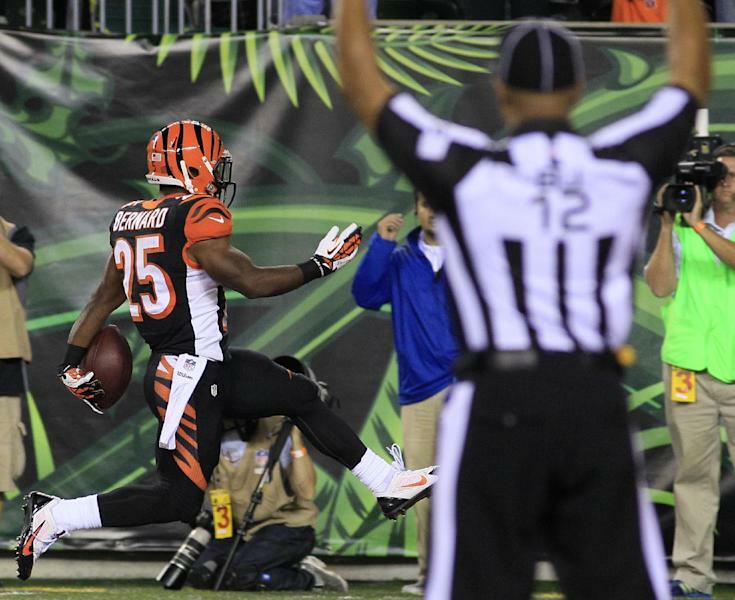 The Bengals ran for 127, most of them in the second half when they were putting the game away. The offense's repeated three-and-out series are putting a lot of pressure on the defense, but coverage breakdowns have been involved, too. "We do have to be a lot more sound," safety Ryan Clark said. "If we don't, this is going to keep happening." 5. 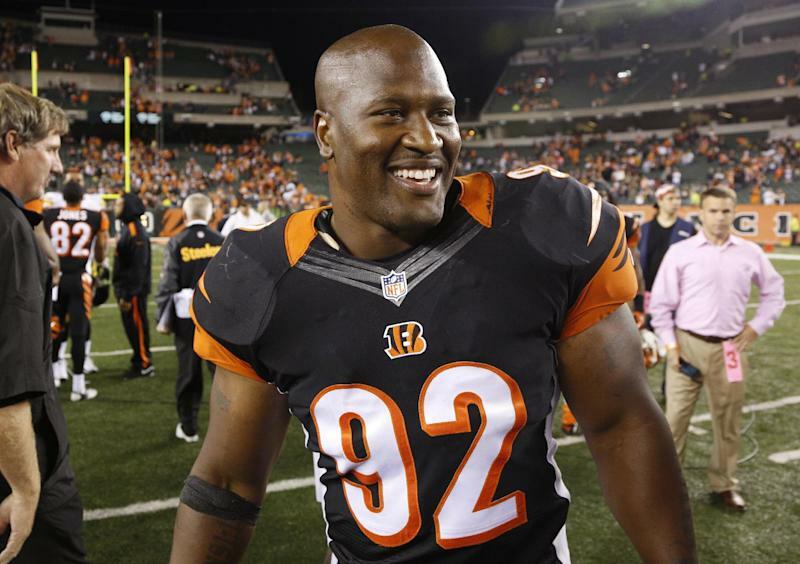 HARRISON WASN'T A FACTOR: A lot of the attention was on Bengals linebacker James Harrison playing his former team for the first time. He didn't have a tackle or a sack, and gave Roethlisberger a hug on the field afterward — the closest he got to the quarterback all night. "We just talked," Harrison said.